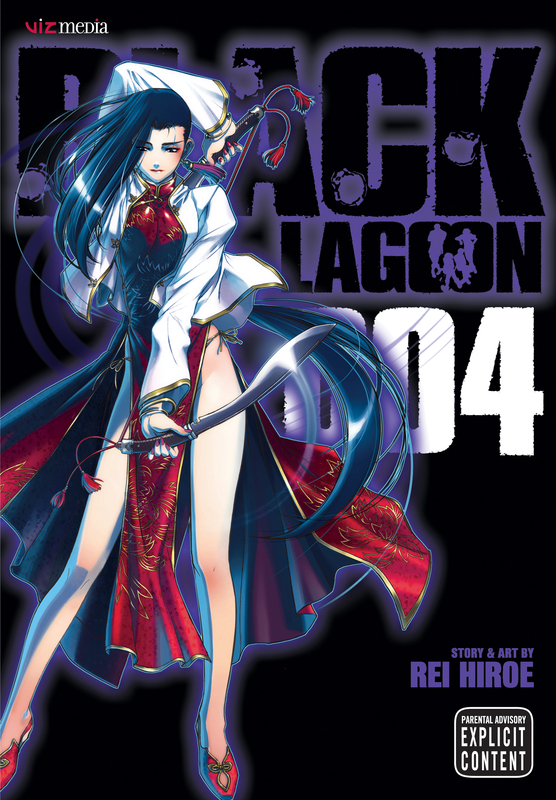 Black Lagoon volume 4 was illustrated be Reu Hiroe and was published on the 19th of July, 2005. This volume features the next nine chapters in the series (21-29), read the review for the third volume here. In a dramatic change of scenery, Rock and Revy travel to winterised Japan. Balalaika has hired Rock to be her interpolator for an enterprising collaboration with the Washimine-gumi, a Yakuza family who’s on its last legs. However, its doesn’t last long as Hotel Moscow gets up to its usual business and starts dominating everyone in their way. This time period takes a heavy emotional toll on Rock as he comes to terms with the fact that there is nothing left of his former life. Revy also meets her match on the battlefield when she faces Washimine’s top dog enforcer. My Review: This volume starts off with the final chapter of the Goat, Jihad, Rock ‘n’ Roal arc. However, I found it to be somewhat anti-climatic. For all the action it starts off with the end result was less than spectacular. It did seem to leave the option open for a return of the main villain, however, I fell that it should have perhaps just ended, no loose ends about it. Then we launch right off into the longest arc yet, with only a minimal appearance of Dutch and Benny this arc is jet set to be another Rock and Revy show. But in this case, it would seem that Balalaika plays a much larger role than ever before. On top of that, the other present party shows up a lot more and we as readers get to see a great deal more of their side of the story, dramatically increasing the connection we have to them. Somewhat of a dull volume but I sense that it is leading up to something big.